Thirty-seven percent (37%) of high school juniors reported having used alcohol one or more times in the last 30 days. Twenty-four percent (24%) of high school juniors reported having been drunk one or more times in the last two weeks. Thirteen percent (13%) reported driving after drinking one or more times in the last 12 months. Thirty-four percent (34%) reported riding in a vehicle operated by a driver who had been drinking one or more times in the last 12 months. “Parents Who Host Lose the Most…Don’t Be A Party To Teenage Drinking” is an initiative of the Drug-Free Action Alliance. The purpose of this program is to point out the legal and ethical ramifications involved when adults allow underage persons to drink while on their premises. Since April of this year, the City of Kenosha has a new “social host” ordinance in place which allows prosecution of anyone permitting underage drinking gatherings on their premises. 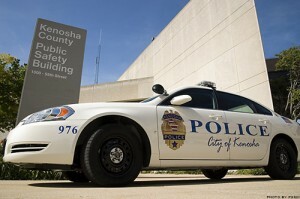 “The purpose of this new ordinance is not to raise thousands of dollars in fines. The purpose is to discourage illegal behavior and ultimately to save lives,” said Alderperson Michael Orth, a member of the Public Safety and Welfare Committee. Since the ordinance passed in April, more than a dozen “social host” citations have been issued. A person who violates this ordinance is subject to a $1,000 to $5,000 forfeiture, plus the cost of prosecution. The entire social host ordinance can be viewed on the City of Kenosha web page under the Code of General Ordinances, 11.025. Parents who procure, provide, or allow drinking by anyone under 21 who is not their own child are breaking the law. Parents who knowingly allow a person under 21 to remain in their home or on their property while consuming or possessing alcoholic beverages can be prosecuted. Parents can be sued if they give or allow alcohol to be consumed by anyone under 21 and they, in turn, hurt someone, hurt themselves, or damage property. A parent acting responsibly, quickly, and with due care is unlikely to ever be cited under the social host ordinance. What is most important is what the parent does after being made aware of the illegal behavior.